Massage therapy programs can be found just about everywhere these days —probably because people are recognizing the power of this medication-free, noninvasive, all-natural approach to health and wellness. We wouldn’t be a total wellness center if we didn’t offer massage therapy in addition to all of our other great wellness programs. The best thing about our massage program at Forge-RX is that there is no pressure or obligation to pay more for specific modalities. 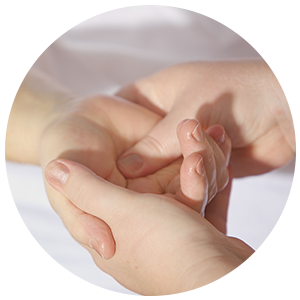 There is no extra charge for deep tissue massage, prenatal (pregnancy massage), reflexology, sports massage, orthopedic massage, or therapeutic massage. Our massage package pricing is locally competitive and set to ensure every client will receive a unique session tailored to their specific needs. Not to mention, childcare is available on site! One 30 minute massage per month included in our personal training package. If you are interested in our massage therapy program, or any other service we offer, contact us or stop by to speak with one of our expert, friendly wellness coaches!